Heritage Todd Creek Golf Club is a premier Denver golf course and has been carefully crafted to complement the native contours of the surrounding Rocky Mountain landscape creating an exceptionally unique Colorado golf course. With rolling terrain, a variety of elevation changes and meandering creek, native grasses and wetlands, this Arthur Hills signature designed 7,435 yard championship Colorado golf course goes beyond the ordinary round of golf. Please call 303-655-1779 for current rates. 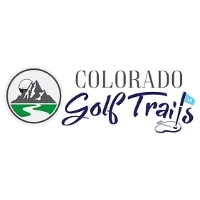 Call 303-655-1779 for rates and tee times. Contact Heritage Todd Creek Golf Club at 303-655-1779 for more information and details on holding a golf outing at the course. Contact Heritage Todd Creek Golf Club at 303-655-1779. Contact Heritage Todd Creek Golf Club at 303-655-1779 for onsite or nearby dining options. This profile was last updated on 10/26/2015 and has been viewed 4,007 times.